This newly built luxury villa of 450 sq.m. 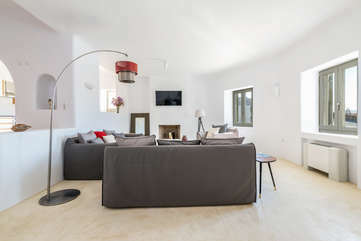 built in a 5.500 sq.m. 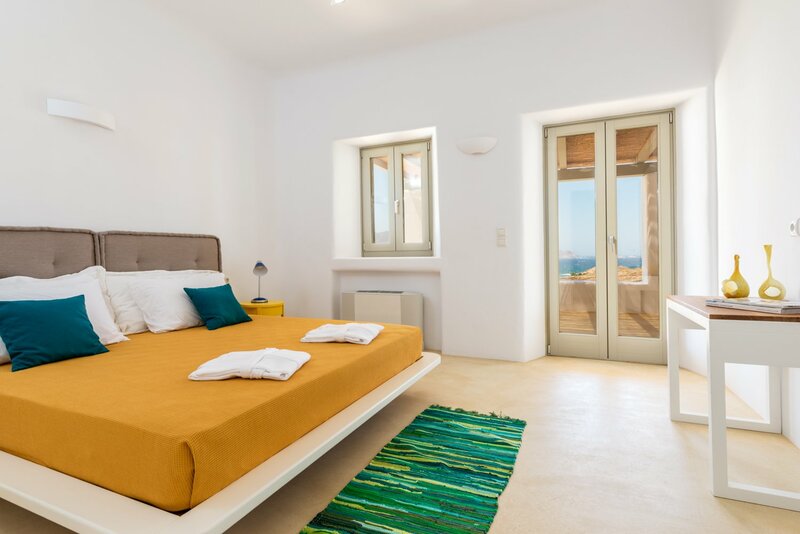 lot, has a breathtaking view of the bay of Ftelia, its sandy beach, gourmet restaurants, archaeological site and its impressive waves that have established Ftelia as the wind surfers’ and kite surfers’ paradise. 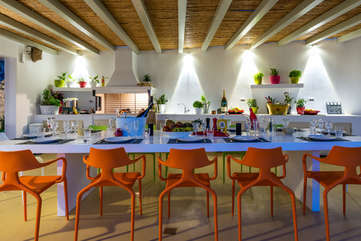 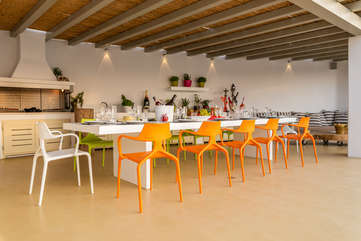 This luxurious venue is ideal for the guest in search of tranquility and privacy as well as for the active traveler. 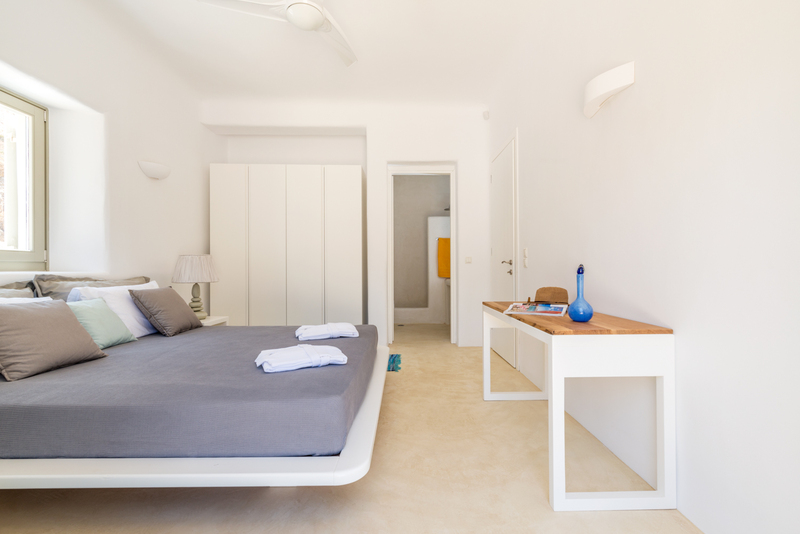 You can dwell in the 60 sq.m. 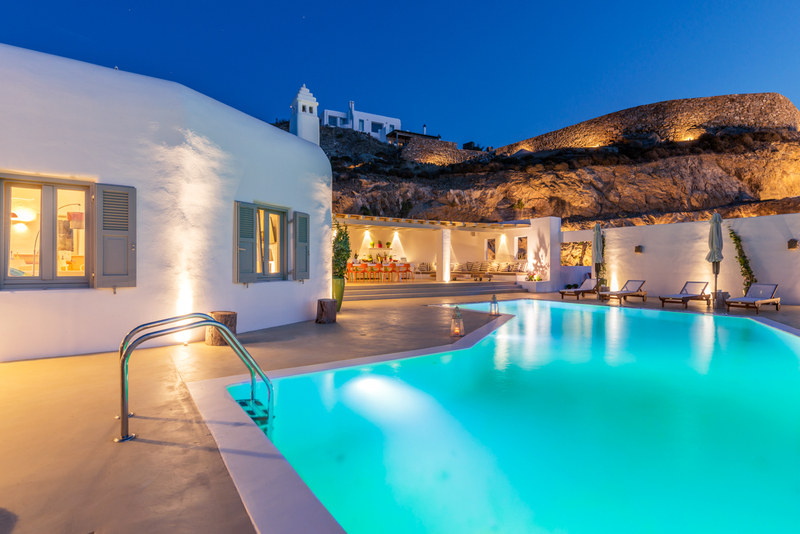 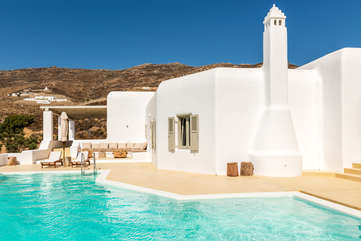 pool, have fun barbequing in 2 barbeques or hike down 500 m and enjoy the lovely turquoise waters of the sandy beach and surf on the waves or simply relax in the serenity of the villa gazing at the sea and stars in the 4 outside sitting areas. 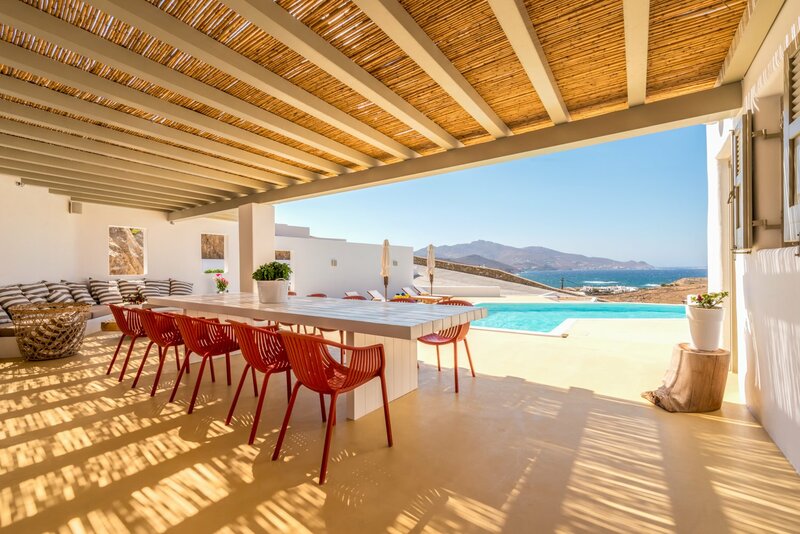 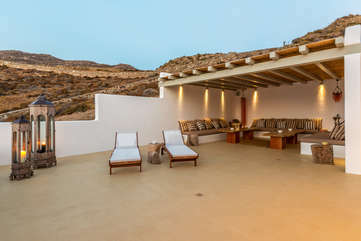 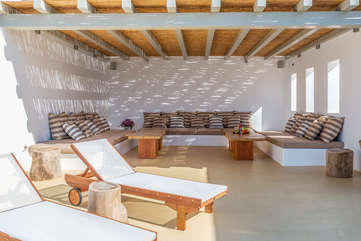 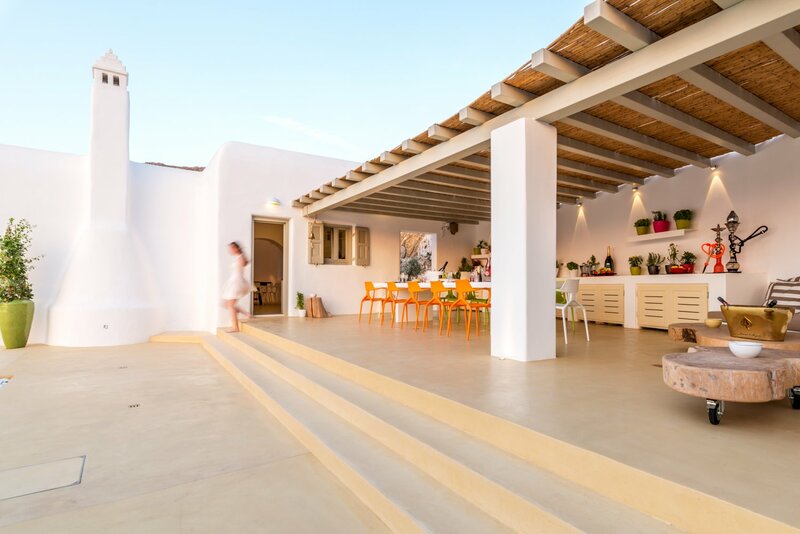 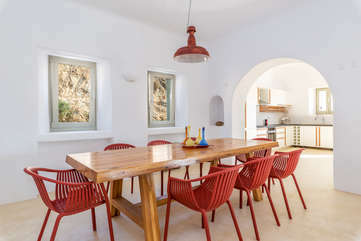 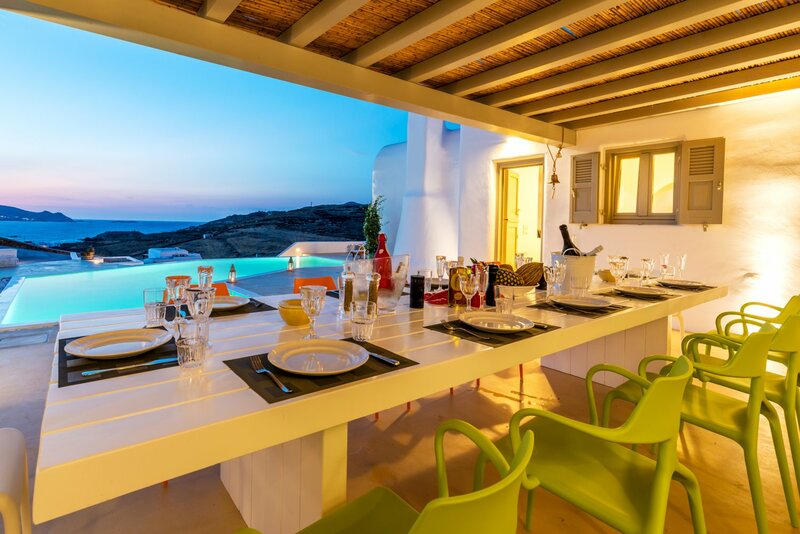 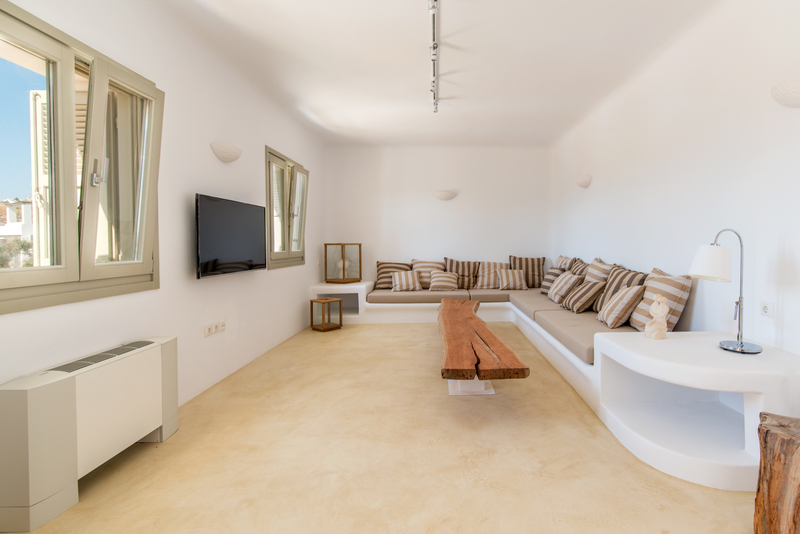 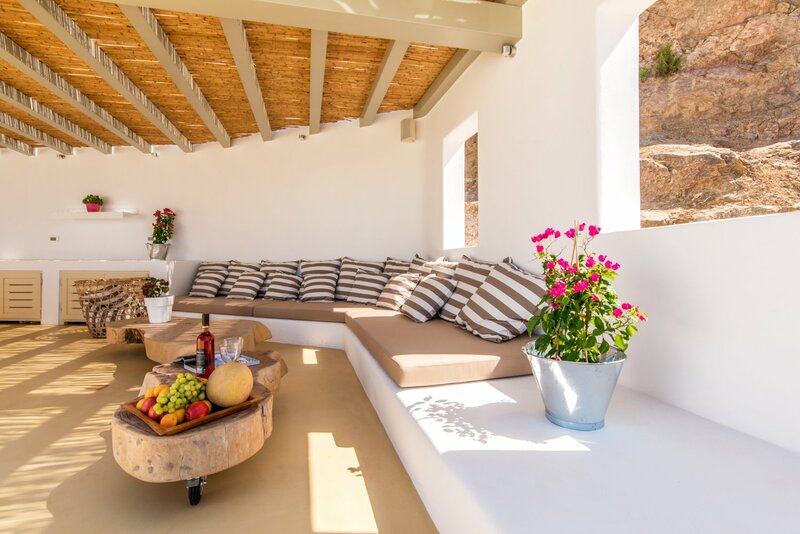 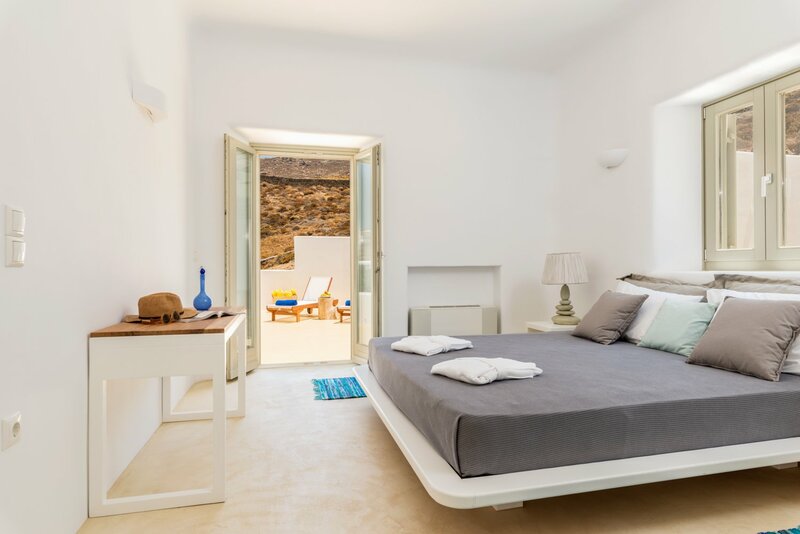 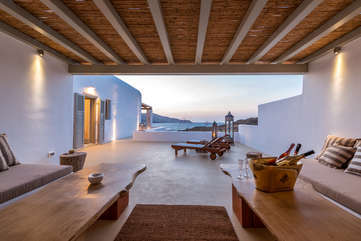 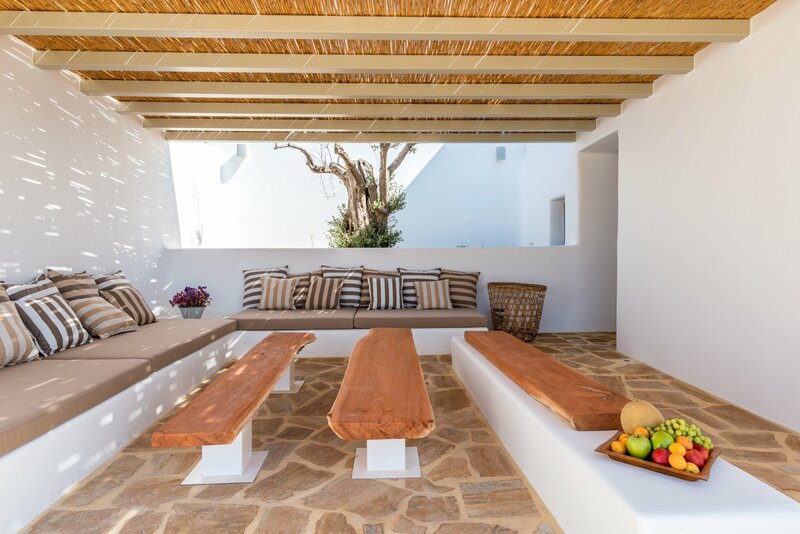 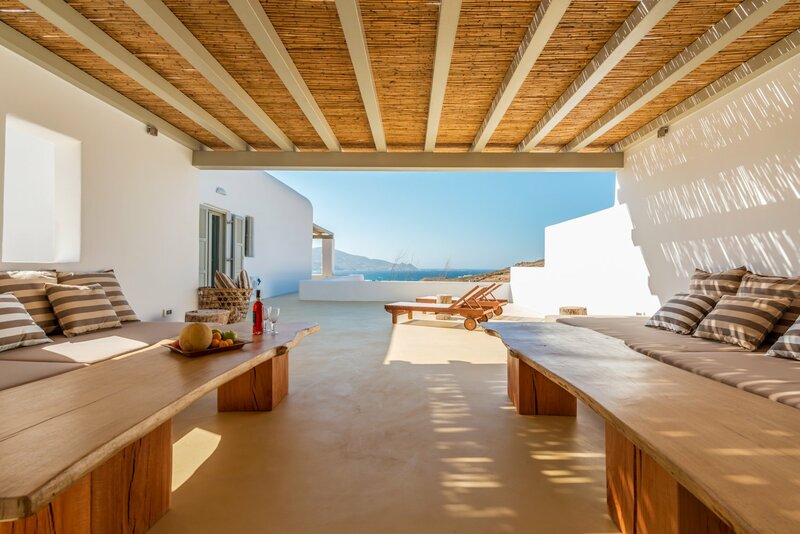 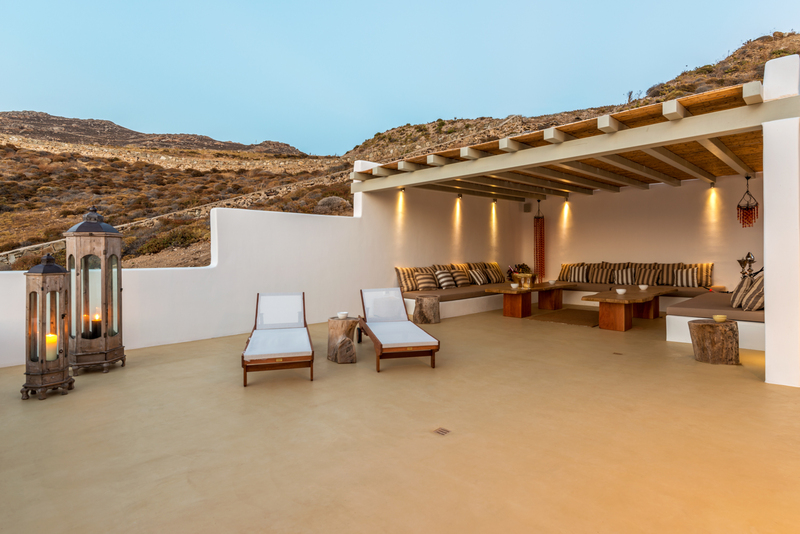 At a distance of 2 km from the picturesque village of Ano Mera, 6 km from the sizzling night life of Chora, and 4 km from the beaches of Elia, Kalafatis and Kalo Livadi, this villa is in the middle of the Mykonian universe. 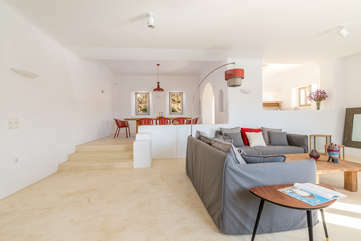 The lower level comprises a lounge with an open fireplace, a fully equipped modern kitchen and 3 spacious bedrooms, 2 of them with king size beds and en suite bathrooms.